The professional and emergency plumbers of Pipe Surgeons are proud to offer high-quality trenchless pipe bursting services to Melbourne residents. Our technicians are expertly trained with the most advanced equipment to make small and large repairs to your Melbourne pipes. As industry leaders, the Pipe Surgeons team can repair or replace your pipes with minimal invasion to your lawn or home flooring. Our trenchless technology brings you the solutions of traditional pipe replacement in a fraction of the time, no excavation, and a lesser cost. 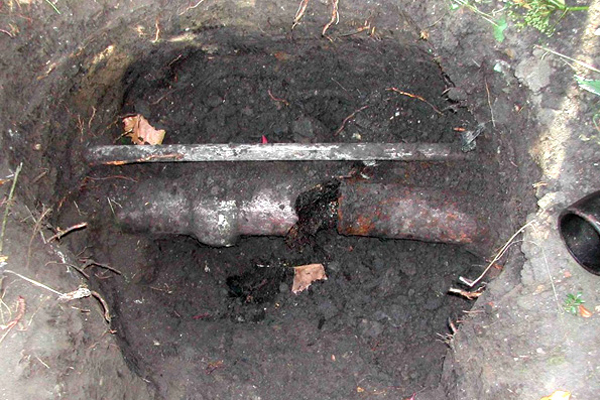 Age and continuous use can cause corrosion even in the most durable piping material. After decades of delivering water to your home and removing wastewater, the sewer line can develop cracks. Without treatment, small cracks can easily weaken the integrity of the entire pipe, causing a line break or complete collapse. Not too long ago, a pipe break would call for complete excavation of your property, but with the skill of Pipe Surgeon technicians, trenchless pipe bursting can complete the job. Our advanced technology eliminates the need for tearing up your yard. With Melbourne trenchless pipe bursting, Pipe Surgeon technicians can replace underground pipes in a timely manner without days of digging. Pipe bursting uses specialized equipment that travels through the path of the old pipe. A splitting head is attached to a new pipe. That head is pulled through the path of the collapsed or damaged pipe, bursting the old pipe into pieces and pushing the debris into the surrounding soil. As the old pipe is destroyed, the new pipe is laid in the same path. With this Melbourne pipe bursting method, only two small access points are needed at the beginning and end of the pipe. The newly laid pipe will last for decades. Pipe bursting is considered one of the most effective plumbing repair options for pipes in Melbourne. Home and business owner benefit from keeping the same diameter for your pipes. Compared to other repair methods, pipe bursting replaces your old pipe with the same diameter piece. Flow of water and waste won’t be restricted by smaller pipes. Secondly, the condition of the old pipe has virtually no effect on the pipe bursting process as it will be destroyed during the repair. Your family will experience minimal down time as the pipe bursting process is completed quickly – offering a new pipe in one day. In addition, the repair process works for a number of pipe materials, so even if you’re dealing with an older plumbing system, pipe bursting in Melbourne is a viable option. The pipe bursting process completed by the Pipe Surgeons team produces a product that’s much better than plumbing from years past. The durable materials used during the process will provide decades of reliable service. This simple yet effective pipe replacing method has become the go-to solution for home and business owners in Melbourne, FL. To learn more about the benefits of trenchless pipe burst, or how this advanced technique can seamlessly resolve your plumbing issues, contact Pipe Surgeons today.